The LG 34UC80 is a gorgeous 34-inch ultra-wide curved monitor that’s great for gaming, watching movies, productivity, and even color-critical work. For the image quality and performance it offers, it’s very appealingly priced and you get tons of exclusive features, too! 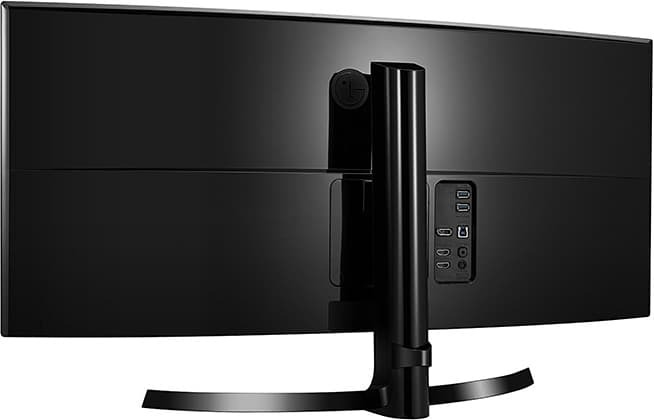 The LG 34UC80-B monitor is based on LG’s own AH-IPS panel with 10-bit color depth support via dithering (8-bit + FRC). 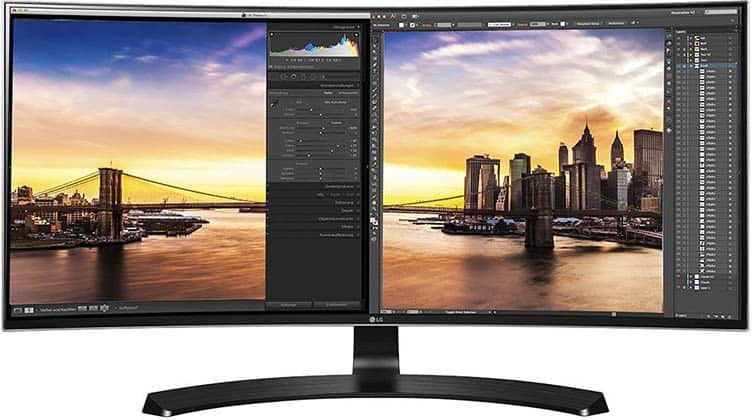 It’s factory-calibrated to cover over 99% of the sRGB color gamut which makes it a great monitor for photo editing and other color-critical tasks. Besides ensuring a perfect color accuracy and consistency, the panel delivers 178° wide viewing angles so that the colors won’t shift when viewed from skewed angles, a quick 5ms response time speed which eliminates ghosting of fast-moving objects, a decent 300-nit peak brightness, and lastly, a standard 1,000:1 contrast ratio. On the 34-inch screen of the LG 34UC80, the UWQHD resolution of 3440×1440 pixels results in a rich pixel density of roughly 110 PPI (Pixels Per Inch). This is the sweet spot between screen real estate and picture detail meaning that you will have both plenty of workspace as well as sharp and vivid details without scaling. As movies are natively shot at an aspect ratio that’s closer to 21:9 than 16:9, you also get a more cinematic movie watching experience. While a lot of games support 21:9 natively too, you will have to settle for black bars at the sides or a stretched image in certain games. You check out all the games that support the 21:9 aspect ratio here. Straight out of the box, the LG 34UC80 IPS display provides an outstanding image quality. We haven’t run into any dead pixels while the backlight bleeding and IPS glow was minimal. If you have an AMD graphics card with FreeSync, you can synchronize the GPU’s frame rate with the monitor’s refresh rate which will eliminate screen tearing and stuttering within the variable refresh rate range. However, the LG 34UC80 FreeSync range is very narrow (55-75Hz) and it only works over DisplayPort. NVIDIA users can also use the monitor as well, but not the variable refresh rate technology. Furthermore, in order to use the monitor up to 75Hz with NVIDIA cards, you have to enable FreeSync and create a custom resolution with a 75Hz refresh rate, but on this monitor, frame skipping will occur. Update: FreeSync now works without any issues when using a compatible NVIDIA G-SYNC graphics card which also prevents the frame skipping. At 75Hz, gaming is slightly smoother as opposed to 60Hz and with the Dynamic Action Sync feature enabled we’ve measured input lag to be only ~10ms. Out of all the similarly priced 1440p ultrawide monitors, the LG 34UC80 offers the best response time speed i.e. pixel transition time. Motion blur and ghosting are barely visible in fast-paced games; additionally, you can use the Response Time Control feature in the OSD (On-Screen Display) to further eliminate ghosting. Just like all of modern LG monitors, the LG 34UC80 packs a bunch of useful features for both everyday use and gaming. The OSD is navigatable using the joystick that’s placed beneath the bottom bezel of the monitor or you can use the On-Screen Display application and adjust all settings in a desktop application instead. In addition, you will be able to find the Screen Split feature which consists of numerous different layouts for easier multitasking by letting you snap an application window to a certain part of the screen. There are also PiP (Picture in Picture) and PbP (Picture by Picture) modes available. Besides the common adjustments such as contrast, gamma, brightness, color temperature, etc, there are advanced 6-axis color settings available as well as the Reader mode which enables the blue light filter for a more pleasant viewing experience at night. For gaming, there’s the Black Stabilizer feature which alters the gamma curvature in order to brighten up objects in dark areas of games. Furthermore, you can customize your own gaming presets with optimal picture settings or simply use the pre-calibrated RTS or one of the two FPS modes. 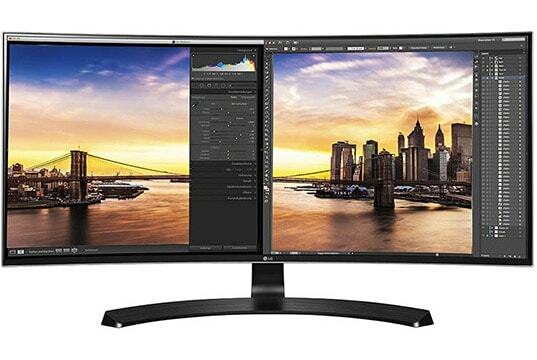 The design of the LG 34UC80 ultrawide monitor is simple and sleek. Ergonomics include -5°/20° tilt, up to 120mm height adjustment, and 100 x 100 holes for VESA mount. The aggressive 1900R curvature is perfect for extra immersion. When it comes to connectivity, there are two HDMI 2.0 ports, a DisplayPort 1.2, the headphones jack, and two USB 3.0 ports. The USB-1 supports fast charging as well though you will have to enable it in the OSD first. When fast charging is enabled you cannot transfer data to or from the connected device. 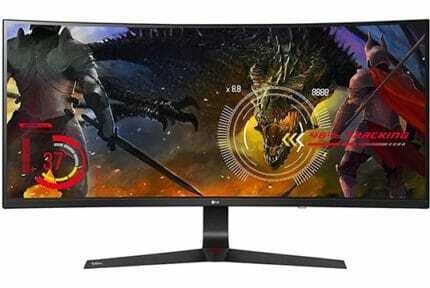 The LG 34UC80 price is usually around $550 which makes it one of the most cost-efficient 3440×1440 ultrawide monitors. For the best ultrawide gaming experience, check out the Alienware AW3418DW with up to 120Hz and G-SYNC. If you’re looking for a monitor which excels at pretty much everything for a good price, the LG 34UC80-B won’t disappoint you. Overall, it’s the best 34-inch 3440×1440 IPS curved ultra-wide monitor for the money, especially if you have an AMD FreeSync graphics card. 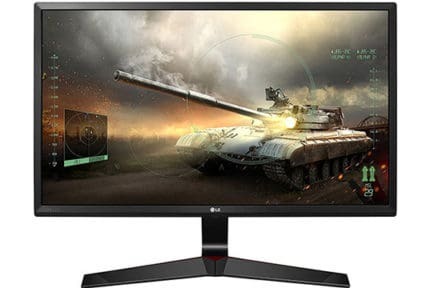 The LG 34UC80 is an affordable 34" 3440x1440 IPS curved monitor that's good for gaming, watching movies, and content creation. For AMD users, FreeSync up to 75Hz is a nice addition, but the variable refresh rate range is very narrow. NVIDIA users are limited to 60Hz which may be a deal-breaker to some.